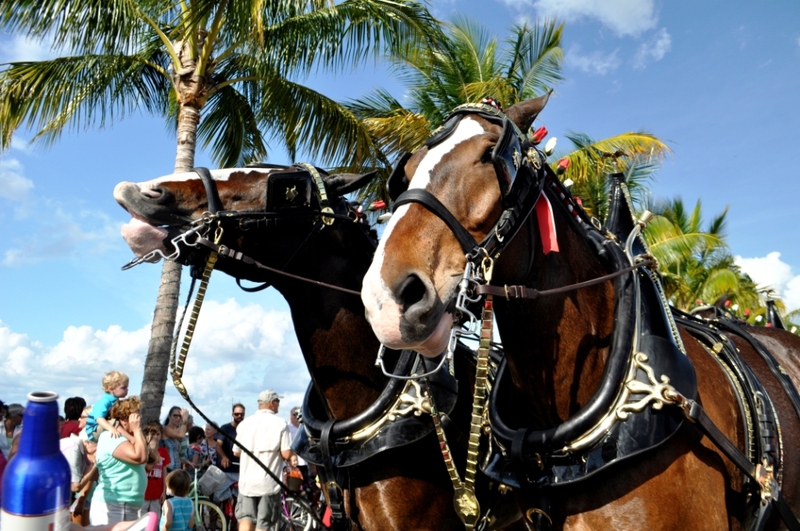 It’s always a treat seeing the Budweiser Clydesdale Team and they’ll be part of Englewood Beach WaterFest this weekend. Today they were in downtown Punta Gorda, Fla., making the rounds around town. 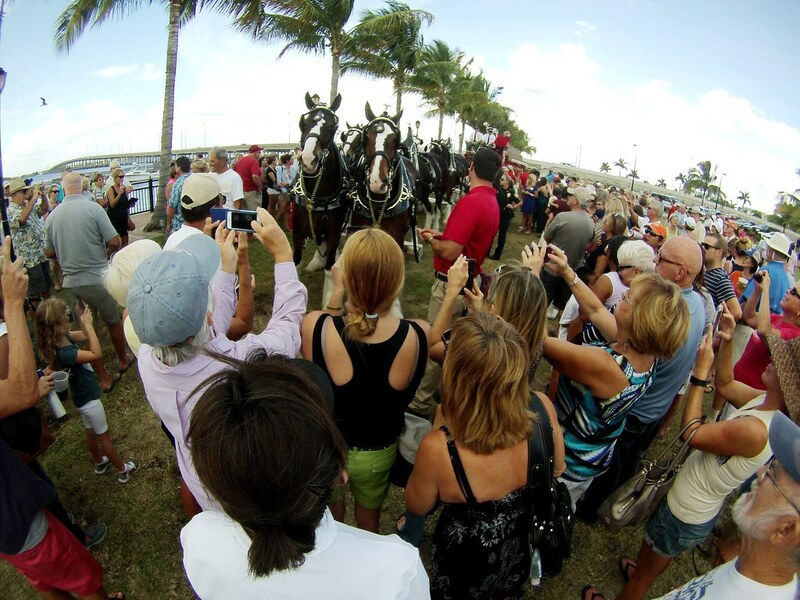 In case you missed them, here’s where you can see them during Englewood Beach WaterFest during the RaceFest festivities. I got my information from the “horse’s mouth,” so to say. Thursday, Nov. 19 – around 5 p.m.-ish for the Waterfest Parade. 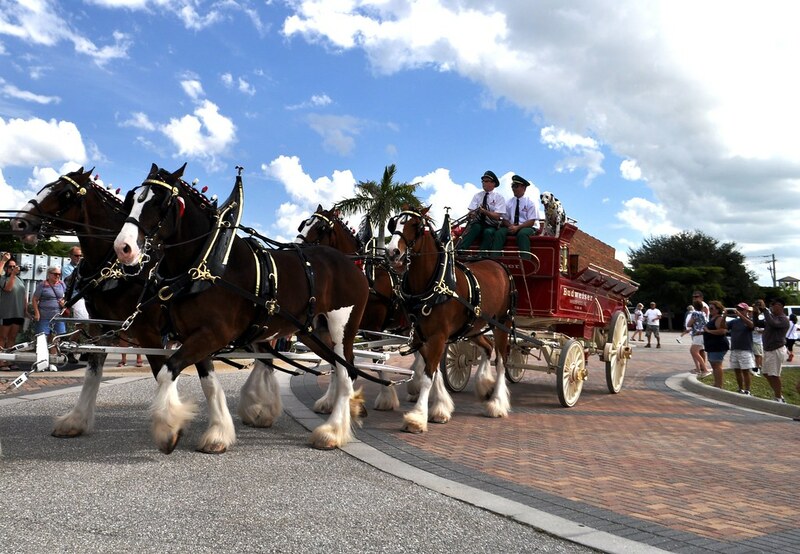 Friday, Nov. 20 – a single horse between 6 – 8 p.m.
Saturday, Nov. 21 – the full hitch between 2 – 4 p.m.
Sunday, Nov. 22 – a single horse between Noon – 2 p.m.
*Note: When they’re at Englewood Beach, I’m told they will be walking in front of the restaurants and will be based at the roundabout with the shell sculpture. See y’all at Englewood Beach RaceFest this weekend! View additional photos of the Budweiser Clydesdales on my Flickr stream.